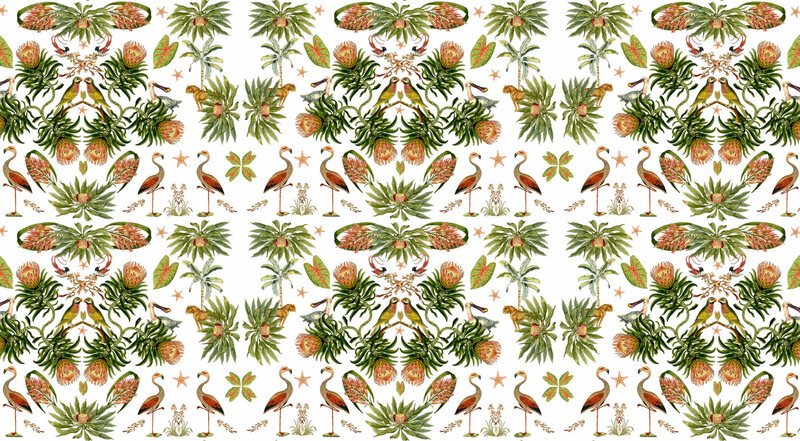 Sarah Fortescue designs & houses beautiful, high-quality fabrics, wallpapers & home accessories inspired by nature’s colour palette, Africa and the tropical palm. You can We launched at Decorex this September with our new Tropical Corals Collection. We use the world and its cultures as our sourcing pot for inspiration and textile sourcing, but it's here at home in Cornwall where our team of talented craftsman lovingly create our beautiful home accessories and furniture. Our sophisticated and eclectic creations are the perfect way to add personality and bursts of colour to your home, through exciting designs and the highest quality craftsmanship.